Eye on Loveland has written and talked alot about Loveland City Council’s decision to spend $128K of taxpayers money on another Master Plan, with the primary focus on downtown. We believe that the primary focus should have been on Loveland-Madeira Road. Please listen to our latest podcast - Why Loveland Madeira Rd - where we discuss the importance of this road as the gateway to our community, the opportunities for redevelopment, and the role of private enterprise in achieving strategic and meaningful revitalization. Join us, won’t you? Sign up to receive regular updates and subscribe to our podcasts on iTunes,apple.com - eyeonloveland. Please follow us on twitter @eyeonloveland and facebook at eyeonloveland. We would love to hear what you have to say so send us an email at eyeonloveland@gmail.com. Eyeonloveland.com - Be Informed. Be Involved. Be Influential. The Mayor Kathy Bailey majority was sworn into office in early December of 2017. It is now mid April 2019, the Mayor and her loyal five men on the City Council have been in the majority for almost a year and a half. In that time, the Mayor’s majority has had a few big policy decisions. We have provided commentary on many of these policy decisions (The Farmer’s Market, PACE, and DORA to name a few), but the one thing we have looked at the most is the creation of a new Downtown Master Plan. As we get closer to the final downtown plan being presented, there is a new question that comes to mind. Why did the Mayor Bailey majority not focus first on Loveland’s greatest development need, Loveland-Madeira Road? For many people who live, work, and play in the City of Loveland, Loveland-Madeira Road is the gateway into the downtown district. This is the introduction into Loveland. The Starbucks, Kroger, LaRosa’s, McDonald’s, Roller Rink, and Primary/Elementary school sit on Loveland-Madeira. Vital public institutions, such as the library and post office, reside on Loveland-Madeira. If you live in Hamilton County, then you probably drive on Loveland-Madeira multiple times a week. Spanning from 275, and ending at West Loveland Avenue, Loveland-Madeira Road is where people get a taste of our community. And what kind of taste is left in people’s mouth if they judge our city by Loveland-Madeira Road? In addition to the destination businesses listed above, there are numerous used car lots dotting the landscape of Loveland-Madeira Road. A high concentration of convenience stores occupy the space around the turn to West Loveland. The massive parking lot in front of Shoppers Haven makes the complex look less occupied than it really is. Behind many of the occupied storefronts on the road, there are empty, and derelict buildings. In some instances, there sits (presumably) empty truck trailers among the tall grass of the empty structures. The lot next to the roller rink will soon be home to a lawn care and chemical company. Multi story residential and commercial buildings, with added pavement, has been the order of development on Loveland-Madeira in the last year. Loveland-Madeira Road should have been the first priority if the city wanted to create a new master plan. Let’s remember, the master plan is meant for the entire City of Loveland, not just a few square miles. The few miles that mean the most should be the priority. Meaningful development on Loveland-Madeira Road would make development in the rest of the city, including downtown, make so much more sense. Want more people to move to Loveland, fix Loveland-Madeira. Want people to stay longer, add needed amenities to Loveland-Madeira Road. Want to add thirty more bars to the downtown district? Great, just make sure Loveland-Madeira Road has the amenities that all residents can enjoy. What our town needs, grocery, mail, and places for the family, Loveland-Madeira already has it. Expand those things and the entire community will benefit. When thinking about the obviousness of creating a priority plan for Loveland-Madeira Road, the entire master plan process looks more wasteful. What good is creating a downtown plan before we address the true needs of the City? The early look at the Downtown plan makes it look expensive, and complex. Will the Mayor Bailey majority once again believe in their infallibility and blindly support the downtown plan and dump all of the City’s money into more bars, roads, and Loveland Station like buildings? Does that mean the city will punt again on any real discussion of fixing and enhancing the experience of Loveland-Madeira Road. It sadly looks that way. The truth is Loveland-Madeira Road does not need the direction of the Mayor Bailey majority in guiding it’s rebirth. So far the Mayor’s majority has added a used car lot into the redeveloped Indian Motors property and put the lawn and chemical company across from Kroger and next to the roller rink. Both of those businesses have a place in Loveland, but a proper plan would have found strategic locations for Oasis and Hertz to contribute. Being on our city’s main road is not strategic. By allowing property owners to let their lots become a blight on our community, the city has abdicated their responsibility in making Loveland-Madeira Road the gem it can be. In a time when the council majority will happily spend $128,000 on a Master Plan that prioritizes drinking, pavement, and multi story buildings in our downtown, and they want us all to wait on meaningful discussions of an area the greater community uses regularly, the Mayor Bailey majority does not seem up to the grand task of creating a revitalized Loveland-Madeira. The rebirth of Loveland-Madeira Road can be handled by us, those that live work and play in our great community. Downtown is being redeveloped for a small group of people, and that group does not include families. Loveland-Madeira can be where families go to spend the day. We can work with established businesses to compliment their clientele with new, and profitable attractions. Private developers can work together to create the housing, and surrounding amenities, for the families of Loveland’s future. And most importantly, private groups can work with property owners to clean up the overgrown grass, rotting buildings, and (presumably) empty truck trailers, that sit right off of Loveland-Madeira Road. Ask not what the city government will do for Loveland-Madeira Road, but what private enterprise can do for Loveland - Madeira Rd and our great community. Why Loveland-Madeira Road? Because it is the most important road in our entire community. The Mayor Bailey majority will tell us all that we need to wait until the “greater” master plan is completed and then we can discuss Loveland-Madeira Road. The non-downtown part of the Master Plan is not expected to be done for another few years. We can’t wait, and we should not wait. 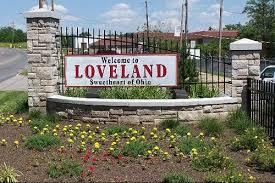 The introduction to Loveland should match the greatness the city has to offer. Loveland-Madeira Road is that introduction. It is time to get to work. On Monday April 1, 2019 Yard and Company, the firm hired to create a Master Plan for Downtown Loveland, unveiled the first draft of their ideas. The downtown today will look completely different if fully implemented. This plan will transform the City of Loveland. Click here to listen to our latest podcast - Master Plan, Rough Draft. We discuss the proposed ideas on redevelopment, what is necessary to achieve the ideas and whether there was meaningful discussion with the community and their suggestions. We also ask the question - just because we can transform downtown, should we? Teaser Alert - One of the suggestions is the redevelopment of City Hall into a three or four story building. The next Loveland City Council meeting will be Tuesday, April 9, 2019, 7pm at City Hall. Loveland is changing, be sure to come and let your voice be heard. On March 18th, 2019, The Loveland City Council held an Emergency Meeting in order to see a presentation from Yard and Company on the city’s downtown master plan. (The plan can be found starting on page 12 of the 3-26 City Council packet - read it here) The presentation was based on Yard and Company’s outreach to “brand drivers”, and other groups associated with downtown Loveland. The plan presents objectives to be reached in 0-3 years, 3-5 years, and 10+ years. Today we will focus on the 0-3 year objectives, since this is where we will see near immediate action once the plan is approved by the City Council. We will take ten topics, break them apart into three sections, Proposal - Can/Should City Pursue Idea - Will it get done. We do want to remind everyone that the presentation from Yard and Company is labeled “for discussion purposes only.” The final plan may change. One more thing. On April 1st, at 6pm Yard and Company will have a public showing of their conceptual plan for Downtown Loveland. The meeting will take place at the building behind Magnolias in Downtown Loveland. It is our understanding that this will not be a traditional meeting where the public will get to ask questions to the larger group. There will be people from Yard and Company, and maybe a few Loveland City Council members, there to field questions or concerns. 1) Changing W. Loveland from Loveland Madeira Road to Karl Brown Way. W. Loveland goes from two lanes before Loveland Maderia, and changes to four lanes for a few blocks until it goes back to being two lanes at Karl Brown Way. Numerous plans are presented to make that stretch of W Loveland 2 or 3 lanes with a variety of ideas on adding bike lanes and parking areas. We believe this is a good idea. Traffic should be slowed a little bit in those few blocks. It will also help cut down on confusion, aka backed up traffic, between Loveland Maderia and Karl Brown Way. Very high likelihood this will happen. It is a good idea and the cost could be minimal. No new pavement would need to be created and no front yards/sidewalks would need to come out. This will probably happen. 2) Fixing problems at the train trestle on Karl Brown Way near the Linda Cox Parking Lot. The idea to add a laser powered warning system and then eventually lower the road by two additional feet have been proposed. According to a report commissioned by the city, separate from the Downtown Master Plan, Loveland is currently doing more than required about the low clearance under the train trestle. The new warning system may not fix the problem, and it will cost money. Lowering the road is very expensive, and somewhat pointless due to the road already being in the flood plain. Being two feet lower could make the area a major hazard. Very high likelihood that the laser system will happen, the lowering of the road seems to be low likelihood. The City Manager has already stated that he wants to pursue the laser system. The wheels were put in motion before the Downtown Plan has been completed. As for lowing the road? That idea costs a lot of money and may cause more problems than the one it is supposed to solve due to the increased risk of flooding. 3) Fixing the parking issues in downtown through valet services, and better access to underutilized parking areas. Through the creation of an employee lot on E Loveland, the implementation of various valet options, and the creation of a parking management system, Downton Loveland can use the parking available to ease the stress on those who live, work, and play in Downtown Loveland. According to Yard and Company, downtown has plenty of parking, it is just not being utilized. People want to park where it is convenient, and that is not often the case downtown. Finding ways to make the parking seem more convenient, without throwing down more pavement for lots, is a win for everyone. Also, the cost would be minimal. Unknown if this will happen. 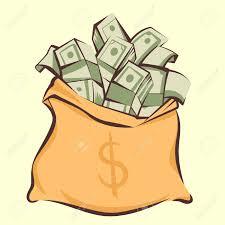 Businesses should be the driving force behind valet services, they are the ones that will benefit. When it comes to parking management, the city commissioned a study a few years ago. Use that. 4) Make the Little Miami River Chamber Alliance the group who handles the marketing and program planning for downtown. This will make one group responsible for selling downtown Loveland to those that may want to work, play, or live in the area. Who else was considered? When it comes to taxpayer’s money, should we not have multiple groups present their expertise so Loveland gets the best people for the best price? This will happen because it is already happening. The Little Miami River Chamber Alliance has been handling all city events since the Mayor Bailey majority took over. Being in the Downtown plan just solidifies this relationship in the eyes of future councils. 5) Riverfront cleanup and activation. Make the Little Miami river more accessible to views and activities in the downtown district by clearing away trees and brush. The riverfront could use a nice facelift. The riverfront is also owned by the State of Ohio, not the City of Loveland. Many businesses have been trying to achieve this goal for years, with very little success. Were they consulted by the people creating the Downtown Master Plan? Very unlikely this will happen in the short term. This is a process that will require more than pictures, it will require a robust lobbying effort at the statehouse in Columbus. Will the city lobby the state, or will the businesses need to make their own efforts? Either way it will require strategic planning and a professional organization to implement the plan. That means money. 6) An increase in year-round family activities. The majority of activities in downtown Loveland, especially since the creation of an event driven DORA, seem to revolve around adult activities like drinking. We should do more to make Downtown more inviting for families. We absolutely need to find more opportunities to bring families downtown. If there was a family friendly venue right off the bike trail, something like an arcade or parlor games themed facility, families would visit the district for more than bike riding and kayaking. Even if bikes and boats was their main purpose, families may stay longer downtown and spend money if the whole family is being served. This is a toss up. The only development we have seen recently are a multitude of bars. The city council has been focused on creating outdoor drinking days at minimum once a month. The proposed plan does call for a family restaurant/bar. What is that? Some kind of Uncle Moe’s Family Feedbag type destination? Does that sound family friendly? This seems to be some kind of half man half nature created swimming area on the Little Miami River. What is this? Is it necessary? Will it be used? Maybe, but we need a whole lot more explanation of the swim hole concept, and why it works, before we pass judgment. Know that this is one of our biggest questions for the April 1st meeting. We have no idea if this is going to happen. Again, what is this thing? 8) WiFi throughout Downtown Loveland. A city wide downtown WiFi network that is free for anyone who lives, works, and plays in Loveland. Having a free WiFi network in a city was a good idea, a few years ago. We are already seeing the telecom companies roll out 5G, the next generation of cellular/wireless communications. Every municipality should be focusing on 5G because it is the framework for the smart cities of tomorrow. Strong free WiFi coverage is a pleasant leftover from 5G. This will happen because it is easy, and unnecessary. 5G requires new micro cell towers, and a whole bunch of them, to create the framework for a smart city. 5G is already being implemented across the world. Loveland needs to be proactive and be ready to assist with the roll out of 5G in our area. That should be the focus instead of creating a downtown WiFi district. 9) Development on private property. A big portion of the downtown master plan looks at development, or redevelopment, on parcels owned by private entities. The proposed Landing, Community Center, Java Hut, and probable mixed used facilities along Karl Brown Way and the Eads fencing facility are all pieces of property not owned by the city of Loveland. When you add in the current city hall and fire station, the areas targeted for development have many owners. Who will take control of these parcels, will potential developers be turned away because their private dollars do not match the public plan. This part of the plan has many unknown variables attached to it. There is likely no way we will see the full completion of the Downtown Master Plan when it comes to all the proposed development. There are way too many private property owners to see this plan reach it’s conclusion. If the city goes in to buy these parcels, we are looking at in excess of tens of millions of dollars from the city taxpayers. If the plan is narrow on its interpretation of development on private property, many developers may look for a more accommodating community. This part of the plan looks more like “I want to do” than I will do. 10) Create design guidelines for the downtown district. This looks familiar to the early historic district proposed by the Historic Design Review Committee in 2018. The committee elected to scrap that plan and start over. Not only does the proposal from Yard and Company suggest to “develop downtown conservation district design guidelines”, but in the 3-5 year plan they suggest to create Loveland Avenue Design Guidelines on the other side of the Little Miami River. With the large amount of private property, and people’s homes, design guidelines tend to not go over well. It is unlikely this will ever get done. The Historic Design Review Committee already tried this in 2018, and it was met with push back from the public. The committee ended up electing a new secretary and scraping all of their previous plans. When you add in the large number of private home owners on W Loveland, it will be very difficult to get buy in for a universal design code. Council members need to be elected, it is political poison to tell private property owners what they can and cannot do. At first glance we can see that this plan will transform downtown Loveland. We are not talking about developing on city owned property, we are looking at a completely new Downtown Loveland. We should remind everyone that this version of the Downtown Master Plan is a rough draft, and our analysis should be treated the same. We were somewhat engaged in the discovery process conducted by Yard and Company, but we were not fully engaged. The early version of the Downtown Plan looks visionary, but seems unattainable due to the extremely high cost of creating new roads, obtaining privately held property, and creating amenities we may or may not need in the downtown area (i.e. the community center). The Mayor Bailey majority told us that this was going to be a community driven master plan, but when we look at this rough draft it does not seem to be community driven. 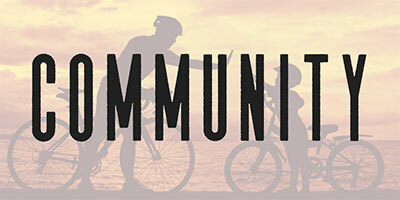 There are throwaway lines about family friendly activities and community technology, but none of it is taken seriously. Meanwhile, the elevation of the chamber alliance and the catering to the farmers market seems to be in line with the Mayor Bailey majority helping their friends at the expense of the community at large. When we see this rough draft, it is obvious that this is not a community driven plan, it looks more like a crony driven plan. Maybe the April 1st event will give us all more clarity. When you think of downtown Loveland Ohio you picture families and kids in the park, people biking and walking the trail in thoughtful reflection and the quiet serenity of the river. However, City Council seems to think downtown should be a constant party atmosphere with bands and booze. That is what this law - DORA - Designated Outdoor Refreshment Area is all about. Click here to listen to our latest podcast - DORA 2 - Electric Boogaloo. We discuss the affects of this law on our community, and who actually benefits from all the events. Join us, won’t you? Loveland City Council will be voting on this legislation, March 26, 2019, 7pm at City Hall. Be sure to come and let your voice be heard. In the mid 1800’s the United States saw the rise of a new political party, the American Party. This new political coalition was able to get a few legislators elected, and even fielded a candidate in the 1856 Presidential election. Many of us learned about the American Party, but we know them by a different name, the Know Nothings. This name was given because of the secret nature of how the party acted in public. When anyone was to ask a member of the American Party anything about their political group, “I know nothing” was the response to be given. The Know Nothings believed only their supporters and colleagues were important enough to know what was going on. The groups secrecy, and lack of transparency, led to a very quick downfall of their political coalition. During the course of the Mayor Kathy Bailey administration, I have asked a lot of questions about the governing thoughts of the Mayor and her five loyal members on the Loveland City Council. I have spoken in open forum to ask my questions, I have made a number of public records requests, and I have even sat down on the rare occasion with members of the Mayor’s majority. In all three instances I find myself asking the questions, and the council majority responds with a form of “I know nothing”. Let’s start with the public forum. At the charter required public meetings of the City Council, the public is given five minutes to speak on a subject of their choice. Many people use this time to talk about an issue that faces them personally. I have used my time in the public forum to ask questions, or voice concern, over policies that the council is considering. At the March 12th meeting I used my five minutes to ask questions related to the proposed DORA (Designated Outdoor Recreation Area) legislation. As a point of clarification I should say that I spoke in a public hearing, not the open forum. I asked very specific questions about the legislation, questions that had not been answered in the past. City Manager Dave Kennedy answered most of my inquires, yet not one elected member of the city government said a word. When the time came for the council to discuss the legislation, without me being at the podium, a discussion did not take place. No one addressed any of my concerns. The council acted in manner of knowing nothing or not wanting to know something. This has happened at almost every public forum / public hearing that I have participated in. Yet I am not the only citizen to be told by the council that they know nothing. At the February 26th meeting, the council was silent in the face of serious questions from a resident. The resident was eventually engaged, but it was not a pretty sight (read about it here). Last summer, the Mayor Bailey majority was presented with concern from another resident about the painting of the city water towers. Once again that resident was presented with no information on the council majority’s plans. When it comes to residents that do not 100% agree with the council majority, residents with valid questions, the council majority sits back and says “I know nothing”. Public records brings the know nothingness of the council majority to a whole new level. Public records are exactly as stated, records that are for the public. Shortly after the Mayor Bailey majority took power, Vice Mayor Robert Weisgerber lamented the burden of the city having to produce public records (read about it here). The political action committee that supports the council majority has used the public forum, and social media, to criticize people who make public records requests. The idea of the public wanting information seems troublesome to the council majority and their political supporters. Wanting to know something seems to be a problem for the council majority and their supporters. Yet what happens when the public does receive public records. Of the requests I have personally made over the last year, the records I get have almost no communication from the Mayor Bailey majority. When it comes to the farmer’s market (read about it here), PACE financing (read about it here), or problems in the city’s public works department (read about it here), I requested the communications of the elected members of the city council. In each instance there was little to no dialogue going on for the public to see. When we look at public records to see how the Mayor Bailey majority governs, and what questions they ask on important legislation, the council majority says “I know nothing”. When it comes to engaging with the council majority away from chambers, my experiences have been a mixed bag. I have approached members of the majority in public, and they have been gracious with their time. When the time comes to vote on a questionable ordinance, my discussion with the member of the majority is forgotten. When I question their promise of transparency and engagement, attacks come from social media, and elected members of the city council engage with those attacks. It does seem that discussions are being had outside of chambers. Councilman Kent Blair said at a recent council meeting that “we (the council majority) have discussed this (road funding) at meetings in the hallways and over pizza”, but when a citizen with a question about how the council majority governs, the council majority says “I know nothing”. Does the Mayor Bailey majority discuss any of the issues that face the city? If they do, then why are those discussions not there for the public to see? If all the discussion is being done in “the hallways and over pizza”, do we have a transparency problem in Loveland? If all the the discussions are being done in a way to hide the intent of the council majority from the taxpayers of Loveland, what must be done to bring these discussions into the sunlight? If there is no discussion going on at all with the council majority when it comes to the governance of the city, should the taxpayers of Loveland be afraid of the lack of curiosity coming from our elected officials? What ever the answer may be, what we have seen from the communication strategy of the Mayor Bailey majority is that all difficult questions are answered the same way. “I know nothing”. Note from the author: On February 27th, 2019 I made additional public records requests related to the city’s public works department. On the date of this posting, I have not received the records. If the council majority does have any discussion related to questions or policies, I will update this article. RD Kulik is a resident of the City of Loveland. If you have information related to any issues in Loveland, feel free to reach out to us at eyeonloveland@gmail.com. Be sure to sign up to receive regular updates and subscribe to our podcasts on iTunes,apple.com - eyeonloveland. 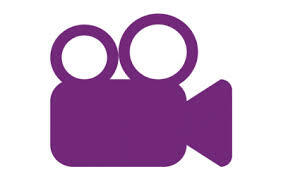 Please follow us on twitter @eyeonloveland and facebook at eyeonloveland. Be informed. Be involved. Be influential. Sign up to receive updates from Eye On Loveland.